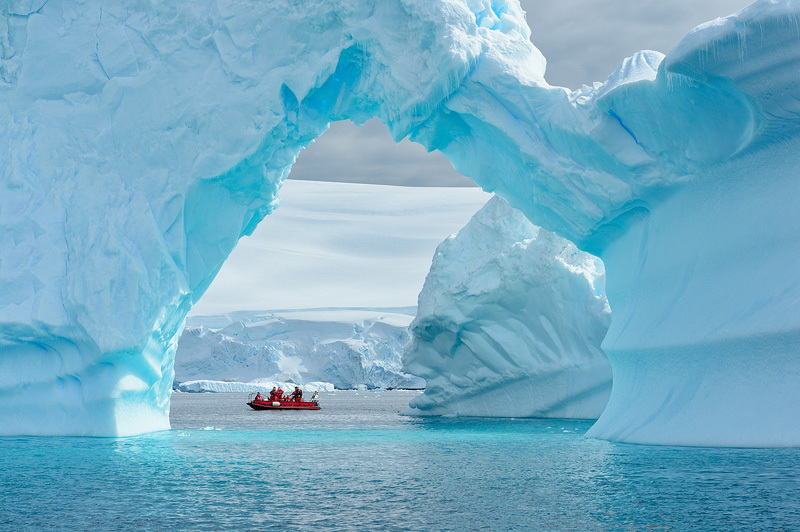 A zodiac is dwarfed by a giant ice arch in Antarctica. Keeping a safe distance from these immense structures is vital, as large chunks of ice break off regularly. As a result, the entire iceberg may topple over, causing huge waves.